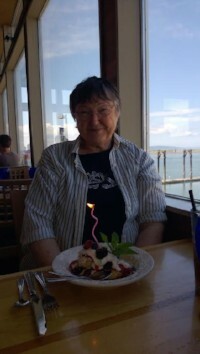 Shirley Jean Glandon, 78, passed away June 11, 2016 at the Warm Beach Senior Community in Stanwood, WA after a brief battle with cancer. She will be remembered as a loving wife, mother, grandmother, sister and friend. A woman of strong faith with an adventurous spirit, Shirley was known for her love of literature, singing and a fierce passion for education. Loquacious and engaging, she will be missed by her many friends, colleagues and family. Shirley and her twin brother Shelley were born July 10, 1937, in Glasgow, MT to Leonard and Darlene Dahlgren, joining older siblings Roy and Marlene. The family moved to Seattle when the twins were only 4 years old and settled on Beacon Hill. Little sister Carol soon joined the family. Shirley left Seattle to move to Spokane after acceptance to Whitworth College on a scholarship from an anonymous donor as well as a partial singing scholarship. It was through her love of music that Shirley met the love of her life, Fred Glandon – Shirley and Fred participated in the same singing groups on campus where Shirley often sang solos. The two were married in Seattle in 1958. They settled in Spokane for the first few years so that Shirley could finish her degree Bachelors in Education. In 1961, Shirley and Fred had their first child, their son Bill. Not long after that, the little family moved back west over the mountain pass to Issaquah, WA in order to be closer to family and friends in Seattle. Fred worked the summer helping to build the house where they would live for over 45 years. They were known throughout the neighborhood for their spectacular yard, fruit and vegetable gardens. In 1964, Shirley gave birth to their daughter Kay. After being a homemaker until both kids were in school, Shirley went back to school and earned her Master’s Degree in Special Education from the University of Washington. She was a middle school special education teacher in the Issaquah School District for 15 years. During her tenure as a special educator, Shirley also coached track and field, swimming and hockey and was an area coordinator for the Special Olympics. Fred often helped out on such ventures and took groups of Special Needs Students skiing. Towards the end of her career, Shirley also taught the third grade. She was awarded ‘Special Educator of the Year’ for her 15 years of service as a special educator from the Kiwanas. Shirley and Fred were known for their love of camping, hiking and exploring. They spent many of their summers trekking through parks in the United States and Canada, with children Bill and Kay in tow. 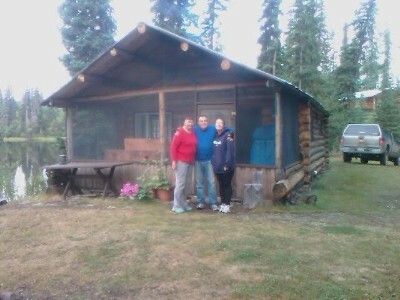 On the way back from one trip, in a campground in Quesnel BC, they met Joy and Harry Baker. The Baker’s invited the Glandon’s to visit their homestead in the boonies. Shirley had some reservations initially, but after getting to know the Bakers a bit better and loving the area, they bought their property on beautiful Titetown Lake. Many summers after that were spent camping, building a cabin, fishing and enjoying deep and lasting friendships with the folks at Titetown. 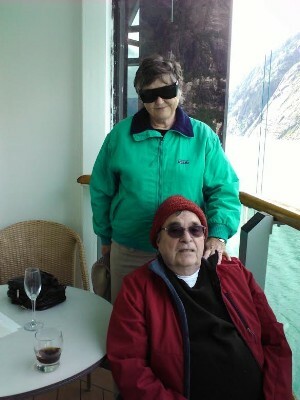 After Shirley retired, the couple took their exploring globally, visiting Africa, Australia, Antarctica, the Caribbean, Europe, Mexico and New Zealand. Fortunately, they were able to enjoy their travels before Fred was diagnosed with Alzheimer’s disease, which made the decision to sell the family home and move to the Warm Beach Senior Community, a continuous care retirement community, easier. They became members of the Mount Vernon Presbyterian Church and made many new friends both in church and in the Warm Beach community. Shirley cared for her husband for many years at home, with help from caretakers, until it was no longer possible for him to remain at home. Once Fred moved to Skilled Nursing at Warm Beach, Shirley became known by staff and volunteers for her daily visits to see Fred with her constant companion Ruby, a rescue dachshund mix, who cheered not only Fred, on their daily visits, but also the other residents. Shirley was well cared for in her final days by the loving staff at Warm Beach who she knew so well. Shirley will be remembered not only for her Christian Service, but for her many charitable works. She was involved in the establishment of the Overlake and Sammamish Presbyterian Churches. Shirley was also involved in Bridge Ministries, Rainbow Lodge, Special Olympics and the Memory Walk. Shirley was also a proud alumni of Whitworth College – she never forgot the special gift of the anonymous scholarship that helped her attend college and years later she and Fred gifted scholarships anonymously to students in similar circumstances. She also contributed to many other charities too numerous to mention over the years. 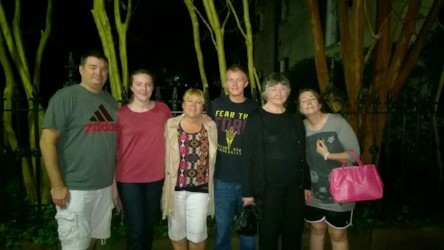 Shirley is survived by her husband Fred, her children Bill and Kay, daughter-in-law Linda, her grandchildren Alexandra and Nick, and her siblings Marlene, Shelley and Carol. A celebration of Shirley’s life will be held July 16th 2016 at Warm Beach Senior Community in the Beechwood Lounge from 1:00pm to 5:00pm. There will be a short service at 1:30pm and then an open house for the remainder of the time. My deepest condolences to Shirley's family. It is so painful to say goodbye to someone we love. So we will not say goodbye, but, 'see you later'. And until we see Shirley again and say hello, let every loving memory be like the warming rays of sun which help to bring comfort from the pain and sorrow of missing her. May the promise of the resurrection to life everlasting give you hope and peace that is beyond all understanding. Heartfelt prayers are with the family. John 11:23-26; Revelation 21:3,4. There are people who touch our lives, making our time here that much more well-lived, simply because they cared. Shirley and Fred are two such people. Life is a journey, and the Baker families are so privileged to call them our friends. Shirley, thank you for your many kindnesses—and to the family, our love and blessings. Very sad news about a very great lady!! We will miss her greatly but the memories will live on. We knew Fred and Shirley for many years, through the Issaquah School District and through all their help with Rainbow Lodge Retreat Center. She was a wonderful teacher and a person who cared about others. What a wonderful life Shirley had! I had no idea of all the marvelous things she and Fred had done through the years. All I knew was that she was a sweet, lovely soul whom I always enjoyed chatting with at church. She will be missed by so many, but what sweet memories she left along the way. So thankful to have known the Glandons. We cherish the memories of both Fred and Shirley and the time we spend with them at the lake. We all have our faith and beliefs and Shirley was very strong in hers, she loved her family and her friends. We shared a lot of stories and celebrations together ( birthdays, Anniversaries and Campfires) with lots of laughs. RIP Shirley and our deepest sympathies to Bill, Kay and Family. So sorry to hear of Shirley's passing. We have known Shirley and Fred (WSHS) for many years from Whitworth to Issaquah to Warm Beach. We enjoyed the times we shared with them and look forward to celebrating Shirley's life and memories. Shirley has been such a special friend to me here at Warm Beach and I miss her and Ruby. Shirley and Fred were among our first friends here, We too were members at Mt. Vernon Presbyterian Church and we were in the same Small Group meeting often in each other's homes for prayer and Bible study. They opened their home to our family members when they visited. Later Shirley and I went to a church prayer time on Tuesdays. After my husband Carl's death and I sold the car she graciously gave me many rides and I am grateful for the special times we had together. Our sincere condolences to the Glandon family. A wonderful neighbour at Titetown lake. We will miss our annual book exchanges, love of history, and always great discussions on all politics and religion. We miss her, but certainly blessed to have known her.